Cork City got their first home league goals as defenders Conor McCarthy and Dan Casey struck to inflict a first defeat on Bohemians. 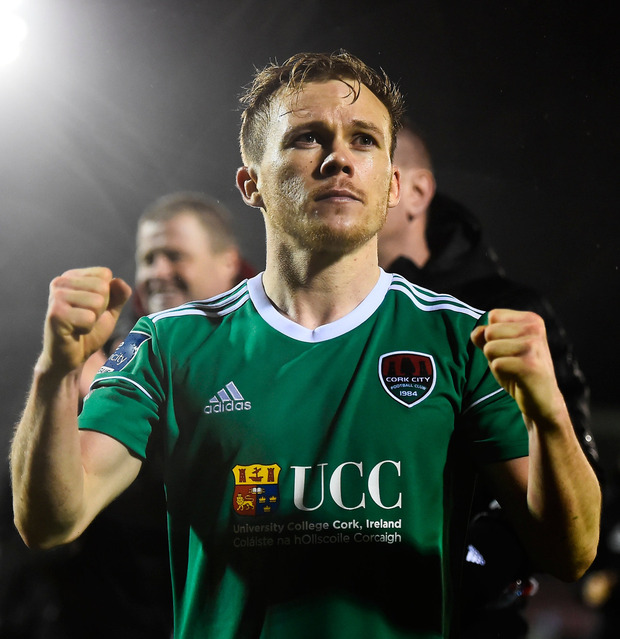 A crowd of 3,106 at Turner's Cross witnessed something of a restoration of normal service by John Caulfield's side, who are now unbeaten in four as the effects of their slow start to the campaign are undone. Playing into the Shed End, City took the game to Bohs but the visitors were positive from the off too and had the first half-chances, with Danny Mandroiu and Conor Levingston off target. Conor McCormack in the City midfield was energetically setting the tone and when he forced a turnover, Shane Griffin's cross was just out of Graham Cummins' reach. Soon after that, Dáire O'Connor won possession deep in Bohs' territory and drove at the defence, his shot deflecting off James Finnerty before being tipped around the post by James Talbot. As the pressure continued, City won another corner on 23 minutes and O'Connor's delivery was headed home by Conor McCarthy. 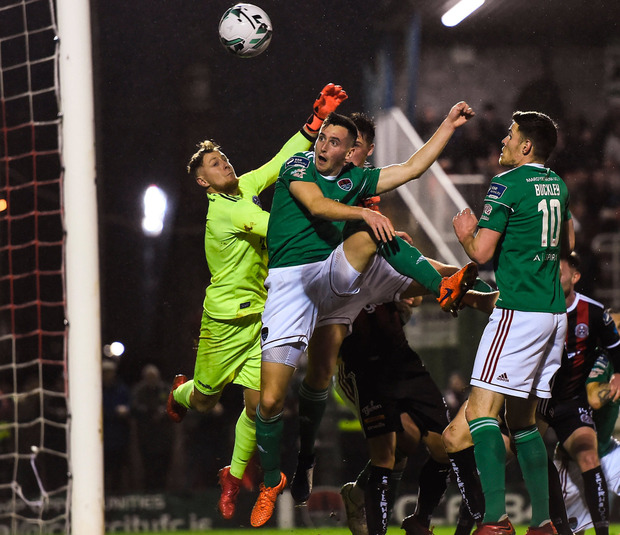 Bohs looked to respond and Keith Buckley's pass found Mandroiu but he skewed his effort wide; however, the impetus remained with Cork and they were unlucky not to go two ahead, Graham Cummins' header finding the net only for the offside flag to be raised. Just before that, City lost O'Connor to a shoulder injury but James Tilley, his replacement, won a free-kick early in the second half and rolled it to Dan Casey, who scored against his former club. From there, they controlled the game, with McCormack and Garry Buckley setting the tone as Bohs struggled to create openings. The visitors got a glimmer of hope as Dinny Corcoran was fouled on the edge of the area but Keith Ward couldn't find the target from the free-kick. From there, City never looked like losing their grip. CORK CITY - McNulty; Horgan, McCarthy, Casey, Griffin; McCormack, Morrissey (Comerford 90); D O'Connor (Tilley 43), Buckley, Sheppard (K O'Connor 90); Cummins. BOHEMIANS - Talbot; Pender, Cornwall, Finnerty, Leahy; Buckley (McCourt 76), Levingston; Grant (Wade-Slater 58), Mandroiu (Swan 66), Ward; Corcoran.